In September, I completed a new painting titled In Transformation. I primarily worked on it outdoors, combined it with schooling my son, and felt the joy of working on a whimsical fairy. I was seeing fairies everywhere at the time and feeling really inspired by the playful magic that I remember as a child when reading or daydreaming about fairies. I love the idea of having wings and taking flight. The finished 24” x 36” painting was shown at the Anvil Centre Gallery. I created it with paper, paint, lace, beads, pen and ink. 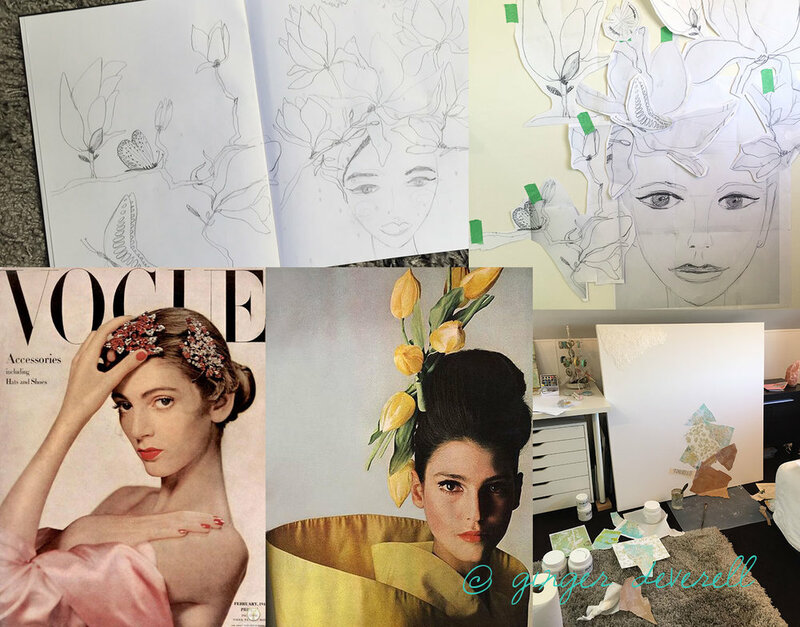 It is a mixture of collage, paint and illustrative techniques. Contact me if you are interested in the original painting. Visit my blog archive for all my current posts, and visit my old blog for previous years.